The WD-repeat (WDR) proteins comprise an astonishingly diverse superfamily of regulatory proteins. To date, genome-wide characterization of this family has only been conducted in Arabidopsis and little is known about WDR genes in cucumber (Cucumis sativus L.). This study identified 191 cucumber WDR genes in the latest cucumber genome and the CsWDR family contained a smaller number of identified genes compared to Arabidopsis. The results of this study were also supported by genome distribution and gene duplication analysis. Phylogenetic analysis showed that the WDR proteins could be classified into 21 subgroups. Moreover, an additional 12 AtWDR proteins were also identified and a complete overview of this gene family in Arabidopsis is presented, including the phylogeny, chromosome locations and duplication events. In addition, a comparative analysis between these genes in cucumber and Arabidopsis was performed and it suggested that there was strong gene conservation and that there was an expansion of particular functional genes during the evolution of the two species. The transcript abundance level analysis during abiotic stress (NaCl, ABA and low temperature treatments) identified six CsWDR genes that responded to one or more treatments. Tissue-specific expression profiles of these six genes were also analyzed. 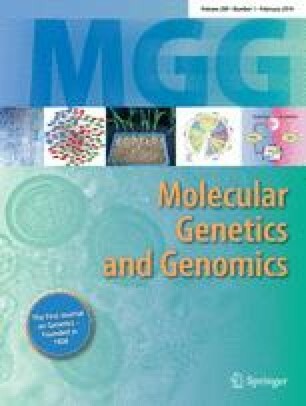 This study has produced a comparative genomics analysis of the WDR gene family in cucumber and Arabidopsis and provides the first steps towards the selection of CsWDR genes for cloning and functional dissection that can be used in further studies into their roles in cucumber stress resistance. Communicated by Y. Van de Peer. The online version of this article (doi: 10.1007/s00438-013-0789-x) contains supplementary material, which is available to authorized users. This study was funded by Grants 31222048 and 31171977 from National Natural Science Foundation of China and the Foundation for ‘Taishan Scholar’ from the People’s Government of Shandong Province.